This post originally appeared on Minding Your Matters. Picture this: You own a business that is your sole means of support and you take a vacation during which you won’t have email or wifi for three weeks. Can’t happen, you say? I beg to differ, as this is exactly what happened in the late spring of 2015. How did I manage this and not come home to a disaster? #1 Motivation. I REALLY wanted to go on a safari. Unless I wanted to pay an exorbitant amount of money and stay in five star camps, wifi wasn’t an option. So I had a choice: be connected OR go on safari. Likewise, when my productivity dwindles, I need to find motivation (internal or external) to complete crucial tasks and projects. #2 Strategy. 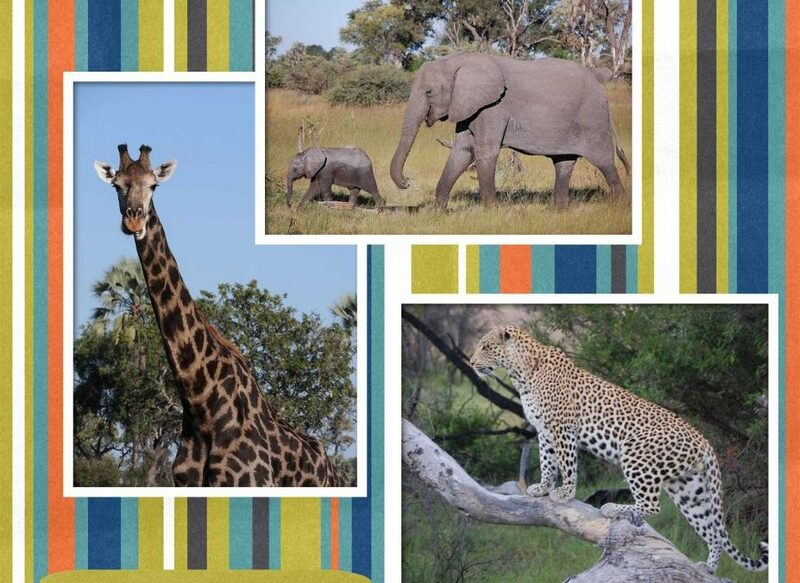 I used several strategies in planning for my time on safari. I implemented my tried-and-true travel procedures as far as packing, securing care for my cat, etc. I let ongoing clients know months in advance that I would be away. I advised potential clients of my upcoming absence. I checked with my team in advance about questions, concerns, duties, etc. they had concerning my time out of the country. Because I knew the dates of the safari almost a year in advance, I scheduled the beginning of each of these activities on my calendar. Likewise, I am more productive when I have clear processes in place for ongoing activities. This means I need to periodically evaluate the need for updated or new procedures. #3 Confidence. I had to trust that my strategies would take care of the majority of issues that might arise while I was on the trip as my staff and customers remained stateside. I knew I couldn’t account for every possibility. But I could do my best. So if I failed to pack an item that I needed, either I would borrow it or do without. If I didn’t provide necessary information to my team or clients, they could ask others or use their best judgment. Likewise, I will drive myself crazy if I try to do everything perfectly. I have to decide when “done” is good enough and move on. #4 Engagement. I could have spent my entire safari worrying about what might be going wrong back in North Carolina. Instead I deliberately tried to be present and involved in every aspect of the safari. If my mind wondered while we were looking for a lion (for which we’d seen recent footprints), I brought my focus back to looking closely in the foliage. Likewise, rather than considering the myriad of other tasks I could be doing (or want to work on), I increase my productivity if I focus on the task at hand. This allows me to complete it more quickly and move on to the next project. #5 Preparation. All wonderful vacations come to an end. Re-entry can be a shock to the system. I try to minimize the jolt with some advance work. I gave myself a cushion between when I arrived back from vacation and when I would see clients. I also allowed myself a couple of days without a full slate of clients. I had my administrative assistant check my email while I was away. As a result of this triage, people knew when I would be in touch with them and I had fewer emails that needed immediate responses. The person who collected my mail created two stacks: items in envelopes and those not in envelopes. I immediately recycled all catalogs because I knew I would get new ones within a month. Then I processed the items in envelopes because I knew those items would be the more important ones. Likewise, I can allow myself to plan less brain-intense tasks in-between more brain-intense projects. This will allow me to have some recovery time which will increase my overall productivity. Do you struggle with motivation, strategy, confidence, engagement, preparation, or other facets of productivity? The Minding Your Matters® team is trained to help people identify productivity blocks and create individualized solutions. Let us know how we can help you increase your professional or personal productivity today.